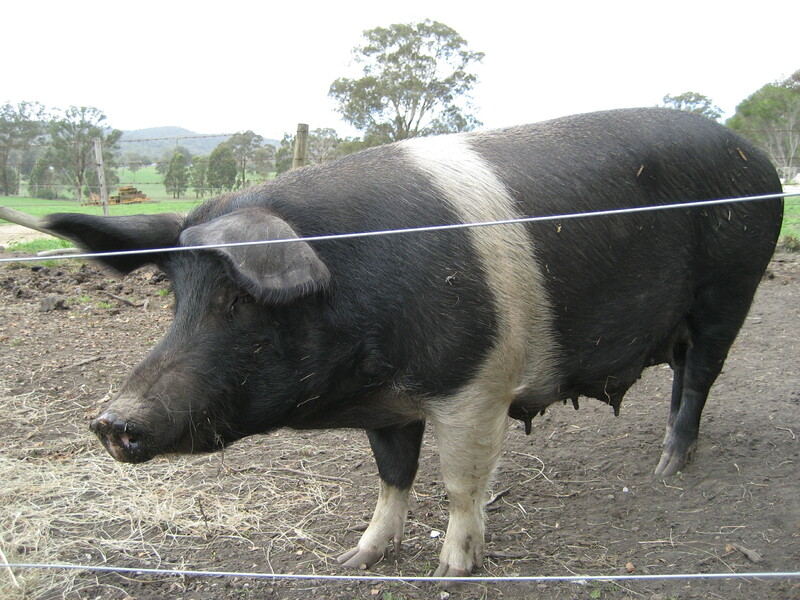 They are a free range bred & grown pig, Either Black or Ginger with a belt of white around their shoulders. The cross breds have spots aswell. Their parents are outdoor pigs that graze grass and have adapted well to the elements. They have forward flopped ears and their breeding originates back to the rare breed of The "Wessex Saddleback" and "Large Black"
They are free to roam with their mother for until its time to leave. We feed the growing pigs on a grain ration, Along with grass till the preferred weight anywhere between 8 - 25kg. **When the season of ACORNS are apparent they will be fed those, which marbles the meat and adds a nice favour. They are housed in paddocks with pig huts, and live a happy life until the day of processing. 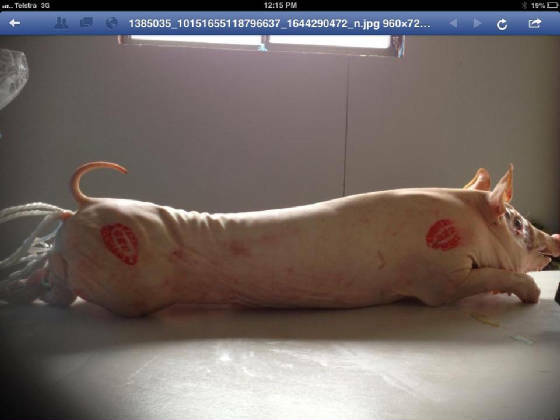 Which is when they get carted all the way down to the Abattoir and get processed quickly and humanly! The meat is sweet and succulent! !